I dyed my hair blonde in 2016. I was bored with my look, so I was itching for a makeover. I wanted to go all out and thought that it was the perfect time to experiment with really light hair color. And so I did. My strands were dyed bronde first, because I couldn't tolerate the pain of having bleach on my scalp for a long time. I was satisfied with my ~new~ look, thinking that I could tick off being blonde on my bucket list. 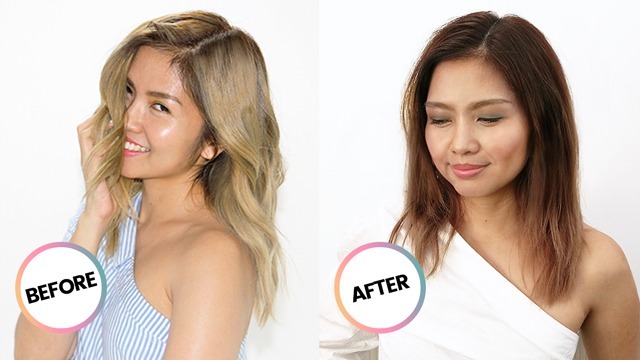 As the touch-up salon appointments increased, I noticed my hair turn lighter and lighter, which I loved. I then found myself being obsessed with any product that says "sulfate-free"—I hoarded hair masks and dry shampoos for my high-maintenance hair. I lived like this for almost four years. Until one day, I decided that I wasn't happy with the upkeep anymore. Being blonde is expensive, and it changes your life. Apart from the expensive hair care products, I had to plan workouts around the days I could wash my hair, and I had to make sure my makeup was always bold (think colored liners, defined brows, and bright lipstick), because otherwise, I would look washed out. Almost four years of #LaVieEnBlonde was too much for me. 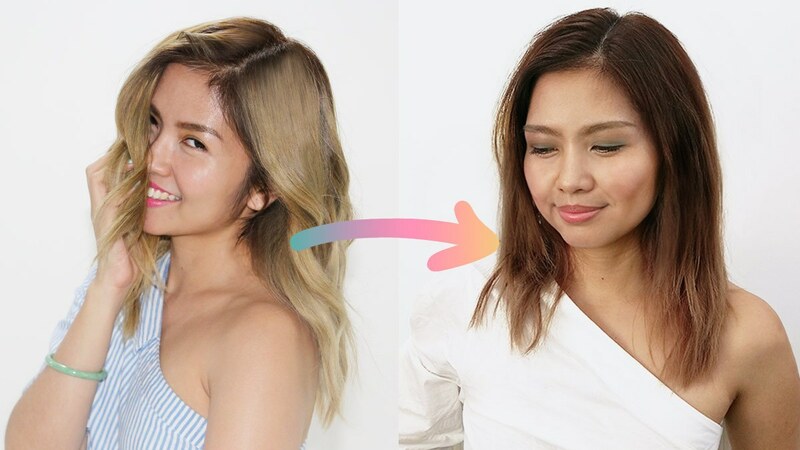 Instead of dyeing everything in a singular shade, he swept a chocolate brown color on my regrowth vertically so it could seamlessly blend with my bleached tresses. As for the remaining blonde strands, a neutral-toned brown was applied. It appeared like a subtle ombré. It took him and his team two and a half hours to *fix* my current hair situation. The results: I look like a new person, LOL! But really, after having bleached locks for a long time, seeing myself with dark hair is a big change for me. I love that you can't tell the exact spot where my locks were previously blonde. Ariel also added layers to my hair to give my tresses bounce and body. As for my haircare routine, I no longer get worried about my color fading easily, but I still use sulfate-free products. After all, my mane still went through a chemical treatment. The Bloc By Junie Sierra Salon is located at Lower Ground Floor, C2 Building, 28th Ave Cor. 7th Ave, Bonifacio High Street.